Yes, I have been absent from this blog for a little while, and for good reason. Fortunately, I have kept up with my other online duties on Go Dairy Free and One Frugal Foodie, and am back on this blog with a giveaway! What better way to return right? This giveaway is for those of you who are curious, but still a bit nervous to try hemp-based alternatives AND for those of you who are already jumping for joy over this new superfood, but are like me, and simply love sample gift packages! As an added bonus, all of the above products are vegan (dairy-free, egg-free, and all around animal product-free), gluten-free, soy-free, and nut-free! For a Second Entry: Assuming you have just “liked” Living Harvest on Facebook, head to the Go Dairy Free Facebook Page and leave a comment on the giveaway entry. Entries will close on Thursday, October 21st at midnight! I really like almond milk. I have recently gone dairy free and am learning about all the yummy options I have. This website has been very helpful. Thank you! My boyfriend and I love almond milk. I’ve even convinced a few other people in the family to ditch cows milk and switch to almond milk. “liked” and I usually go for almond milk, but I really love coconut milk in my coffee. I really would like to try hemp milk. I “liked” them! My favorite dairy free alternative is a tie betweek almond milk and coconut milk! My kids and I just recently went dairy & egg free. We are trying all the different types to try to find one we all can enjoy. The kids like Blue Diamond Almond Breeze Vanilla, but as I am sensitive to nuts, I prefer Rice Dream for all of our cooking/baking needs. I’d love to find one that we can all use and enjoy. I would love to try these!!! Going to go to facebook now. Thanks! I liked 🙂 My favorite dairy alternative is coconut milk. Rice Dream for cooking, Almond milk for drinking and Stevia plant for sweetness. I liked Living Harvest Foods on Facebook. I think that my current favorite dairy alternative is almond milk. Dairy Alternative – Almond MIlk, Daiya Cheese, Silk Creamer…. I love giveaways! I liked Living Harvest on FB, but it’s almost impossible to pick a favorite non-dairy product, so I’ll say coconut milk yogurt, for now. Ask me again tomorrow and I might say something else! My favorite non-dairy product is We Can’t Say It’s Cheese…of course! Hemp is my absolute favorite for its taste, creaminess, and versitility! I “liked” and i Like using Almond milk. But Soy is much better to cook with. My favorite dairy alternative is soy milk, but I haven’t tried hemp milk yet… maybe I’ll win this and it’ll become my new favorite! We use ricedream. We do not have a lot of alternatives in our smaller town. Soy is great for me but not the little ones and no nuts makes almond milk not an alternative. I am a new fan! We love hazelnut “milk.” So sweet- great over hot cereal. We use rice milk and really like it. I really like Silk vanilla soy milk and Enjoy Life chocolate chips! I make REALLY good chocolate covered strawberries! My favorite dairy alternative is hemp. Almond milk is second place. My favorite is Hemp Milk…especially chocolate! I’d say almond, but I don’t get it cos it’s so expensive – so it’s soy for me. Hemp milk is the only dairy replacement I use! My favorite dairy alternative is a tie between hemp milk and rice milk. I use both every day in my smoothies. I’m excited to try out more varieties of hemp and see what other types of foods I can incorporate it into. oh! and you know what else is awesome? getting hemp nuts and making your own milk! add some fresh raspberries and what ever sweetener you like, blend it all up, strain and it becomes a yummy nutty treat! I *like* Living Harvest – actually love it. We always have Tempt Hemp milk in the fridge, regular for my cereal, and unsweetened for savory cooking that requires milk. I *LIKE* Living Harvest on facebook… and I *LOVE* Living Harvest as my dairy AND ice creme alternative! Liked on Facebook and Silk Almond milk is my fave! I like Living Harvest on Facebook – my FB name is Amanda Moore and Almond Milk is my favorite dairy alternative! I commented on the Go Dairy Free Facebook post of this giveaway! I’ve been using So Delicious Coconut milk for drinking and ice cream. I use rice, almond, and coconut for baking… depending on what best suits the recipe. Like the fact that Living Harvest Tempt is soy free and vegan! Used to love almond but just found out I’m allergic to that too. =( I’m liking rice milk, but even the original is still a little sweet for me. Just “liked” it on facebook. I use almond milk (vanilla unsweet) for cooking and coconut milk for baking sweets, thai food and smoothies! I like that Living Harvest is soy free because I just found out I’m slightly allergic to soy (probably all those years of soy-food alternatives). i just “liked” and i love soy milk as a diary alternative! Gotta go with Daiya or Teese…..both excellent vegan and cruelty free cheeses! I already like Living Harvest on FB. 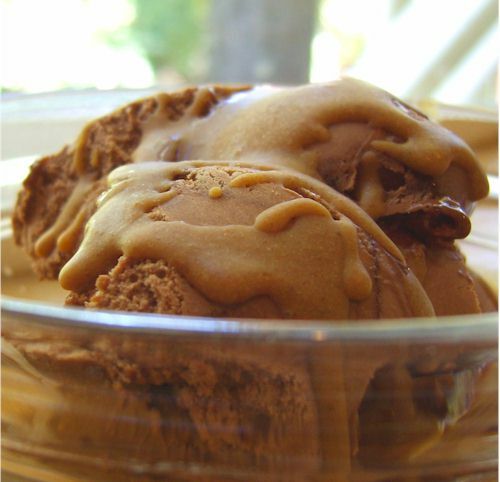 Honestly… my favorite dairy alternative is hemp milk, especially when it comes to ice cream. Almond milk is a close competitor, though!! It’s a toss up between almond and hemp milk! I like Living Harvest on Facebook (Erin E). My favorite alternative is almond milk, though I haven’t tried the hemp yet. My new fav perhaps? Thank you! Well – I have my favorites for different uses. I have never tried hemp milk… But, I prefer Almond milk for every day, e.g. cereal, coconut milk for coffee, ice cream and other baking, and rice for more savory dishes requiring dairy. I would love to try hemp milk! I’ve almost tried it once but didn’t end up trying it. I love coconut milk and almond milk especially. I liked Living Harvest on fb. I use rice milk for baking and everyday use. For a special treat though, I love chocolate hazelnut milk. Coconut ice cream is my favorite dessert. I liked Living Harvest on FB and so far my favorite has been 8th Continent Vanilla Light Soy milk because it tastes good and works in baking. I am curious about these products though and would love to try them. I like rice milk the best, but have issues with it…so I use almond milk. I’ve been wanting to try Hemp milk for a long time, but none is sold locally. I need to expand my milk options from soy and almond! For cooking and baking, I use coconut milk, although I want to make my own (i haven’t yet). My food-allergic son drinks Neocate, and I drink almond milk. 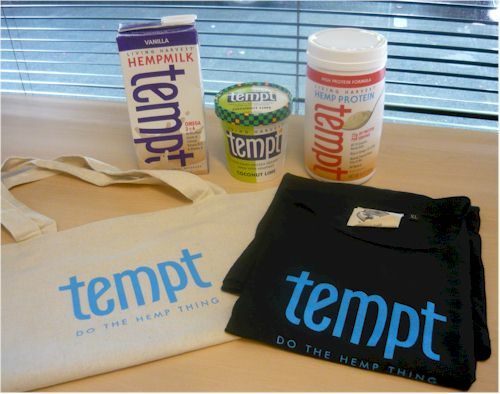 I have tried hempmilk, but not the other products. I make my own ricemilk, and am fond of unsweetened coconut milk. We do rice, coconut, soy, and almond milk at our house – just depends on who’s drinking it or what they are using it for. I love almond milk, I use it in my smoothies and in my coffee. I would love to try hemp milk for something different. i love chocolate hemp milk! I liked Living Harvest. My favorite milk alternative is almond milk. Mmmm… I’ve yet to try hemp milk, though. Maybe it would win? I think almond milk is my favorite; then again, I’ve never tried hemp milk! I liked Living Harvest on Facebook! Have not tried Hemp stuff yet but sounds yummy! I’m a fan of almond and coconut milks! Living Harvest Chocolate hemp milk has been my favorite for years. I liked Living Harvest Foods on Facebook. I love almond milk!! I liked Go Dairy Free and left a comment on the link of this giveaway. – Geri N.
I like Living Harvest on Facebook. I like Almond Milk.